Superb work by their staff! They are professional and active. Did my work timely and took a reasonable cost. Happy with their services. 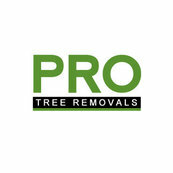 Nigel's work is exemplary - very professional, good value for money - would definitely recommend him. Our trees are looking great! Arrived on the day as arranged. Very well organised, hard-working, excellent team work. Trees cut down exactly as I wanted. I couldn't ask for anything better.